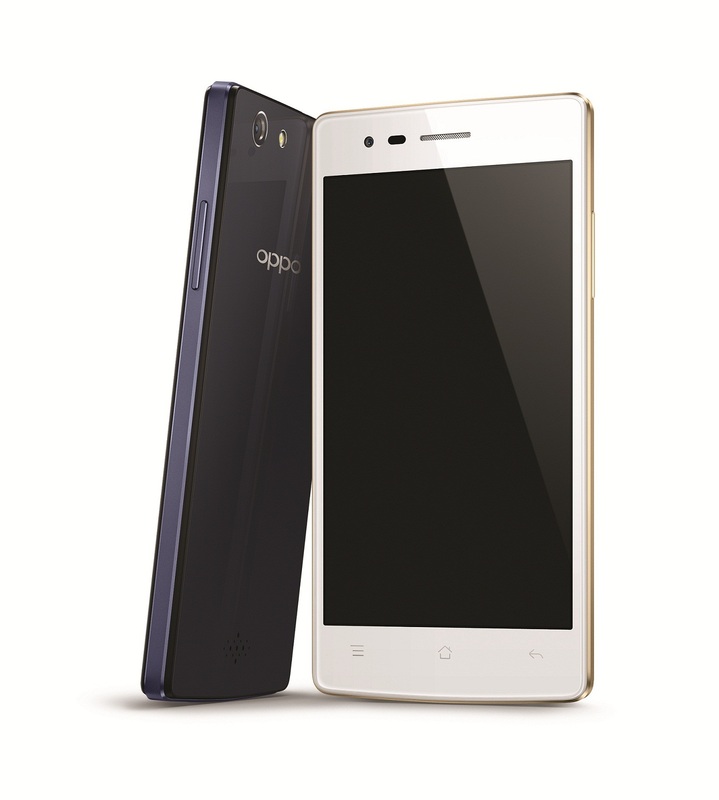 Oppo today announced the launch of its cost-effective model, the Oppo Neo 5, in the Indian market. With aesthetic mirror appearance and dual metal skeleton body, this low budget smartphone is aimed at the mid-range mobile market and is priced at ₹9,990 ($155 approx. ), and will be available in India from today onwards, i.e., June 15, 2015. The device offers a dual SIM card featuring a 2,000 mAh Li-Polymer non-removable battery with 180 hours of standby time. It offers a 1.3 GHz quad-core processor with 1 GB RAM. It sports 4.5-inch IPS display with 480x854 pixels. This smartphone runs on Color OS based on Android 4.4 powered by MediaTek MT6582. It weighs 135 g and has 219 ppi. It has 8 GB ROM, which is expandable up to 32GB. The device uses a 4.5-inch screen with a mirror cover front and back body. The front screen is the scratch-resistant Dragontrail glass. The rear cover is applied with special laminating, and the material used is the glass fiber which is of military-class. It gets more tenacity and wear-resistance, and is also hardened for scratch-resistance. For this kind of soft and pliable back cover, the scratch-resistance level is made up to 4H. The smartphone features an 8 megapixel rear with SonyIMX179 Backside Illuminated (BSI) sensor, with a sensor size of 1/3.2 inches and a pixel size of 1.4µm, as well as a large F/2.2 large aperture, 5P lens. The device has the front camera of 2 MP, the golden shooting angle design, and unique Beautify function. The large aperture and large light-sensor are essential to take bright and colorful pictures when in low light. Along with 2 megapixel front-facing camera, F 2.8 front aperture gives wonderful self-shooting experience. Oppo has overhauled its unique Pure Image Engine, the brain of the camera; it utilizes new PI 2.0+ technology and provides an intuitive pick-up and play format for users to turn their photos from ideas to reality. The unique PI 2.0+ technology brings many interesting camera features to the device. For example, the smartphone features "snap shot" across the whole depth of field, which gets rid of the need of tedious focusing and allows users to record memorable moments instantly; with Double Exposure, two negatives overlap, transforming photography into art, creating dreamy and fantastic visual effects; and the highly acclaimed selfie mode – Beautify Mode 3.0 – allows users to express their different moods and states. With 7 modes added in, altogether there are 8 beautify modes with different styles, built-in beautify modes, such as natural, fair, and rosy. The smart call provides you convenient phone calls and answers even when you are cycling, cooking, meeting, etc. Super power-saving mode makes the phone run longer. It has all the basic features available like contacts, calling option, messages, etc. The new ColorOS has optimized visual and hierarchical schemes, integrated blank screen and easy screenshots, giving you an easier and more fluid operating experience. It also incorporates a variety of gesture operations like black screen gesture operation, creating a lighter and faster operating experience.